I am a very sentimental person. I have the first outfits that each of my babies wore, and I have loads of baby clothes and blankets that I simply can’t part with. 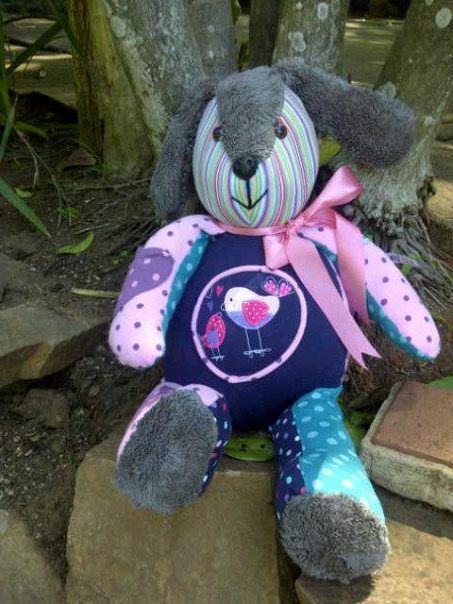 I stumbled across Remembearance Bears who make the most gorgeous teddy bears using (amongst other things) baby clothes. I was absolutely thrilled when my bear arrived made with my youngest’s clothes. Isn’t it just the MOST adorable thing?! It is something she can keep and pass down to her own children…the thought makes my heart melt! These would also make amazingly touching gifts.